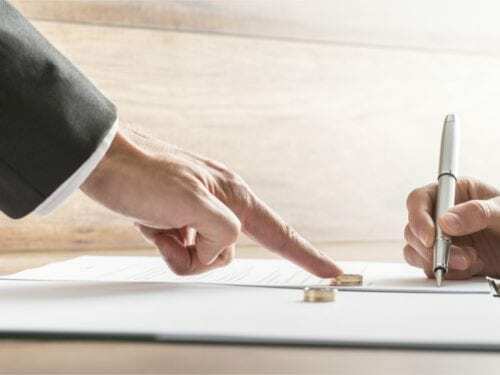 In my previous blog, I provided you with questions one needs to ask their estate planning attorney when dividing their assets in a second marriage. Additionally, some questions — while not necessarily a part of the estate planning documents — will give your estate planning attorney background information about what options might be best for you to consider for your situation. One of the most important pieces of information to know is whether you are married, and if so, whether you are in a “first” marriage or a “second” marriage. Part of what the estate planning attorney really wants to know is if you both are the parents of the children. It really doesn’t matter if you are in a “second”, “third”, or whatever marriage. The real question is whether you both are the parents of the children. And we are not taking the “marriage” designation totally literal. People have children when they are not married. Again, the crux of the question is if the couple is the parents of the children. If the answer is a “second” marriage, then there is additional information that will be helpful to the estate planning attorney and decisions that you need to think about. How long have you been married? Being in a second marriage for two years rather than 22 years can have different aspects to the planning decisions. There are different decisions and feelings with short-term blended families than long-term blended families. For instance, in a 2-year marriage, you may not want everything to go to your spouse but rather split it between your spouse and your children. And you may want to set up a plan that provides for your spouse, but when your spouse later passes, that plan directs your assets back to your children. Who brought what assets to the marriage? Did each of you bring the same amount of assets to the marriage? Or did one bring significantly more assets to the marriage than the other? How are you currently holding the assets? Did you commingle them under joint names? Did you name each other as the beneficiary of a life insurance policy and retirement accounts? Are both your names on the deed to the house? Or have you kept your assets separate? When the first of you passes away, how will the assets be allocated? Are they all going to the survivor? Are they going to be divided between the survivor and the children from the decedent? Regardless of this answer, most couples want to protect the assets for the children from a new spouse if the survivor remarries. We can do this by using trusts in the estate plan. Hopefully, this blog can provide you with insight into what questions to ask your estate planning attorney. At Martin Heller Potempa & Sheppard, PLLC, we can answer these questions and more. Contact our firm today for a free consultation.